Recently, I found a recipe website called BigOven. This website offers the possibility of posting your recipes, it is not as elaborate as allrecipes.com. I like it a lot as you can easily find dishes that are usually made at home and that are not complicated to make. One of the featured appetizers was the BBQ Meatballs. Just by taking a peek at that picture, I was tempted to make this dish, because it was saucy and I never did homemade BBQ sauce in the past. When I looked at the ingredients, I never thought that there were ingredients such as tomato sauce, cider vinegar and mustard. I always thought that the sauce consists of some kind of meat-based sauce, as the sauce is usually applied on meat. I changed a few ingredients from the original recipe and I made the sauce slightly thick with cornstarch. This is my first succesful attempt for homemade BBQ sauce. 1. In a large skillet, heat oil over medium-high heat. Cook the small onion until transparent. 2. 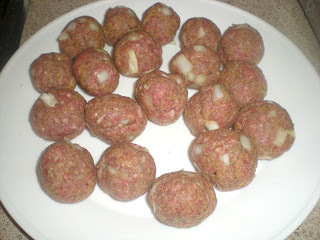 In a large bowl, combine beef, egg, onion, bread crumbs, garlic, salt and pepper. Shape meatballs about 1'' in size. 3. In the same skillet, heat oil over medium-high heat. 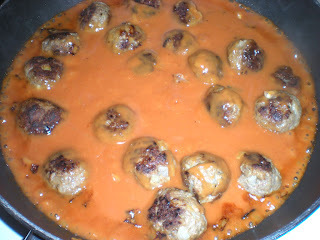 Cover and cook meatball until all browned, about 20 mins. Drain oil. 4. 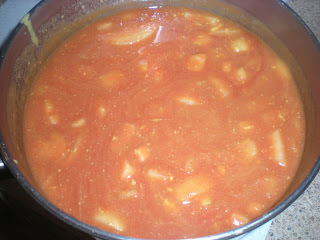 Meanwhile, combine sugar, tomato sauce, cider vinegar, water, Dijon mustard, onion, salt and cayenne pepper. 5. 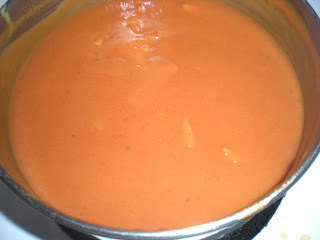 Make a slurry by combining a few tbsp of the sauce with cornstarch. Simmer for 15 mins. 6. 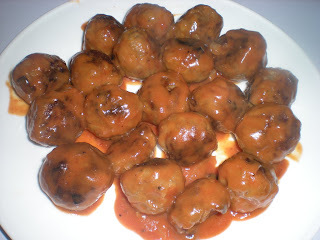 Add sauce to meatballs. Simmer until all hot. Serve. Looks fantastic and I love that the barbecue sauce is homemade! This looks like a great comfort dish - one that I would be happy to make for my family.